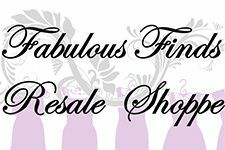 Fabulous Finds Resale Shoppe (formerly the WISE Shopper) has quality clothes and home articles at bargain prices. Donations of good clothing and household items are always appreciated and old, worn out clothing is also accepted to be recycled. All proceeds go to WISE (Women’s Information Services) which serves domestic violence and sexual assault survivors of Mecosta, Osceola, and Newaygo Counties.